Finally! Zubuchon Mactan welcome me, after about three years of waiting, I booked my plane ticket for a short summer vacation in Cebu City. 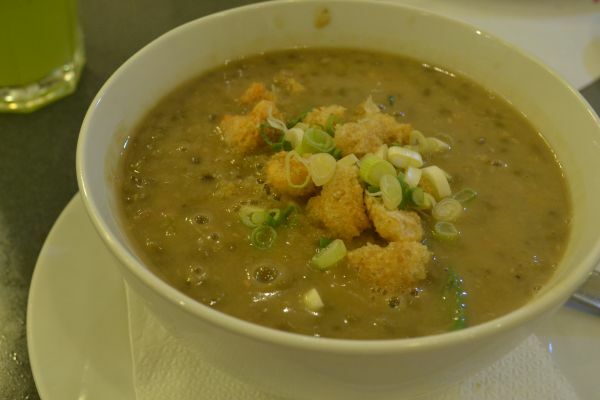 Hungry and excited, I ordered their signature Zubuchon Monggo topped with Chicharon – P180.00 a bowl. Followed by 1/2 kilo Spicy Zubuchon – P260.00 topped with crisp pork skin strips. Ordered three Rice Platter – P80.00 each, their rice serving is quite small for a big appetite like mine, the staff said their rice platter is good for three persons, looks like three cups rice spread across the platter, I find it a bit pricey. 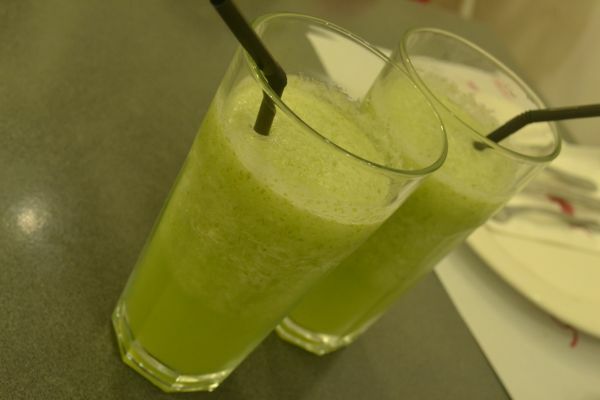 Their best sellers the Kamias Shake – P90.00 refreshing that is, this sour fruit grown in backyards and left out in the open has given a lift up on the menu, takes away greasy after taste of pork. Choose any of these as your take out when you’re done with your meal. 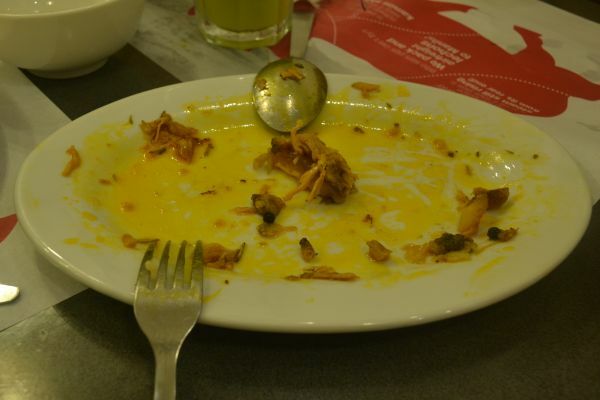 I did not expect to shell out around P 1,000.00 on a single meal, but the over-all food experience is great! no left-overs? To produce very high quality and superb tasting lechons and related food products and dishes using the finest ingredients and artisanal methods. To achieve profits for the benefit of all the stakeholders, with an emphasis on employees and the communities we operate in. We source our pigs from backyard raisers all over the province, are fed 100% organic feeds a week before they are cooked to totally cleanse the pigs’ systems. “Zubuchon” is stuffed with more than a dozen herbs and spices, the pig’s skin is “acupunctured” or pricked all over, then sprayed with fresh coconut water. These processes result to a crispy and brown skin once roasted. No MSG nor soy sauce are used. The lechon is roasted over charcoal, using bamboo poles. 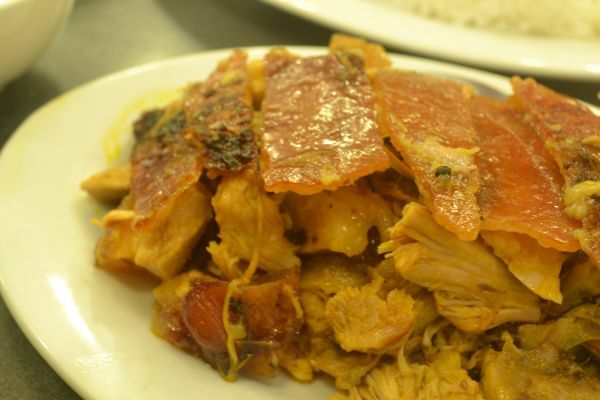 I’ll never get tired of Cebu’s lechon! 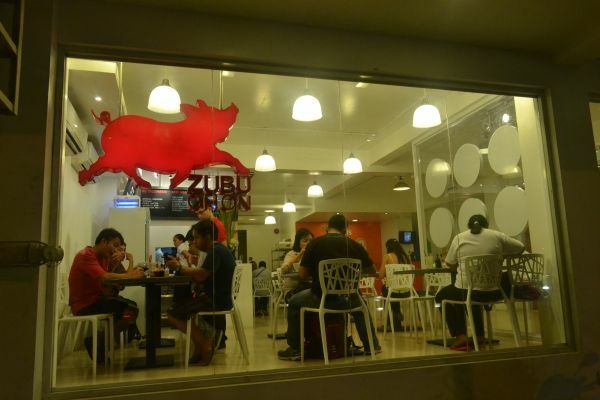 I’ve never tried Zubuchon yet so I’m waiting/looking for a good excuse to go to Cebu. hahaha! Which takeout item do you recommend? 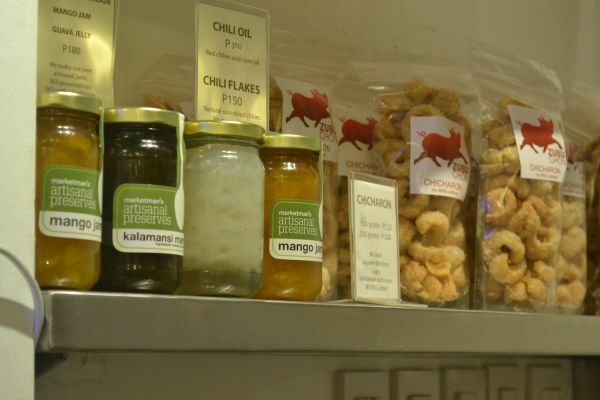 their best seller chicharon on the rack..